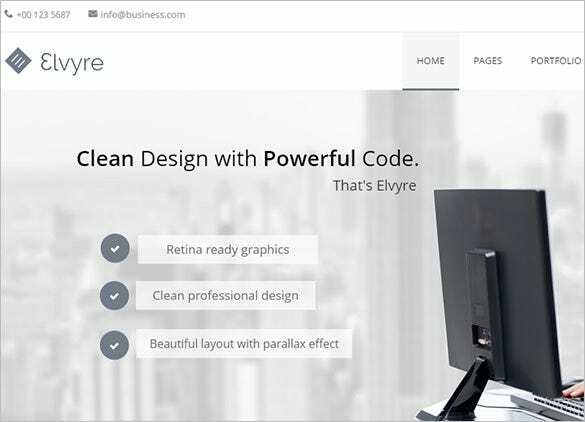 Elvyre is a responsive clean and corporate Joomla template. Some of its amazing features are Revolution Slider, Isotope Portfolio Action, Retina Ready, K2 Supported, Wide Range of Font Icons, Pricing Tables, Accordions, and much more. 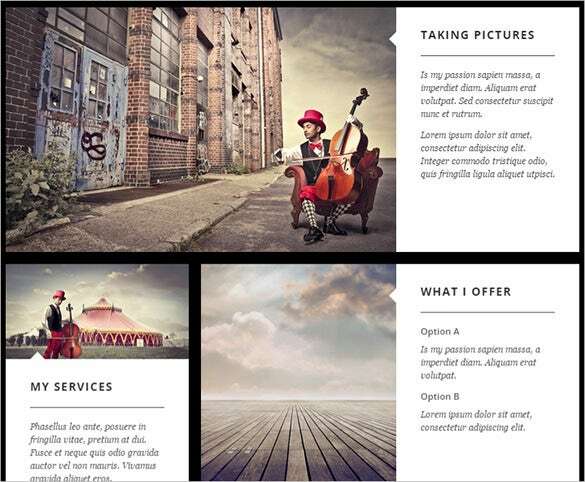 Maxima is a responsive retina ready Joomla template based on the Helix V2 Framework. 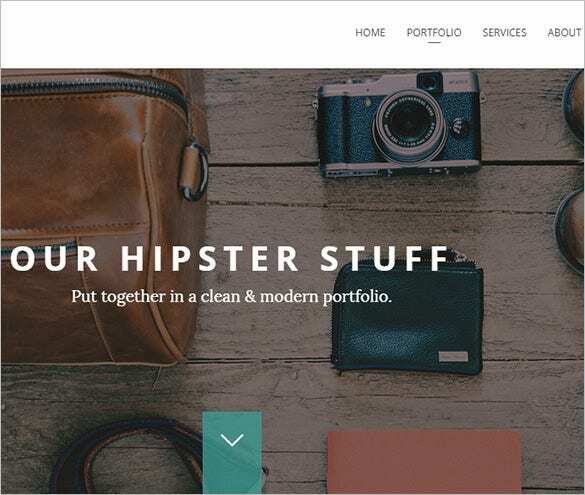 Features include K2 Support, Different Presets, Easy to Use, Twitter Bootstrap, Flexible, Light, and Fast. 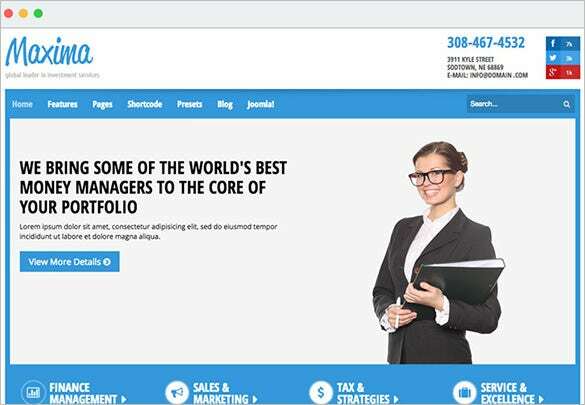 It also features SP Portfolio module that creates portfolios within few minutes. 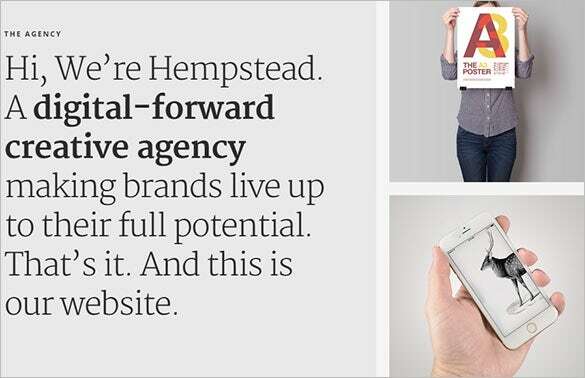 Renovate comes retina ready and is 100% responsive. 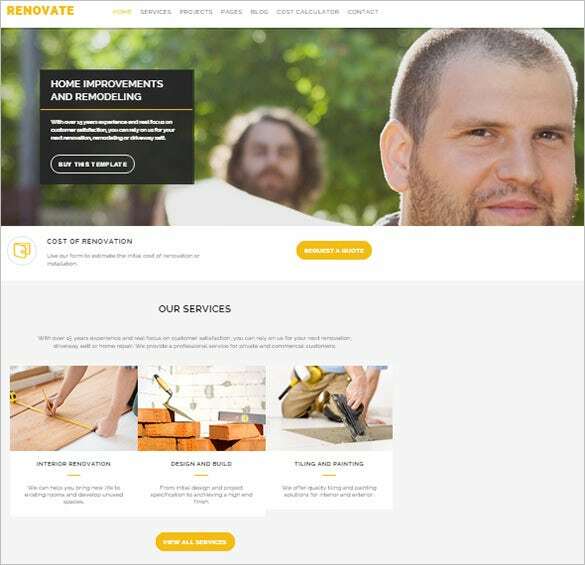 It’s perfect for renovation, construction, handyman, and remodelling business sites. With a clean and modern design, it comes packed with features like Bootstrap 3.2, Improved Layout Manager, MegaMenu Generator, Advanced Typography, and Optical Fixed Header. 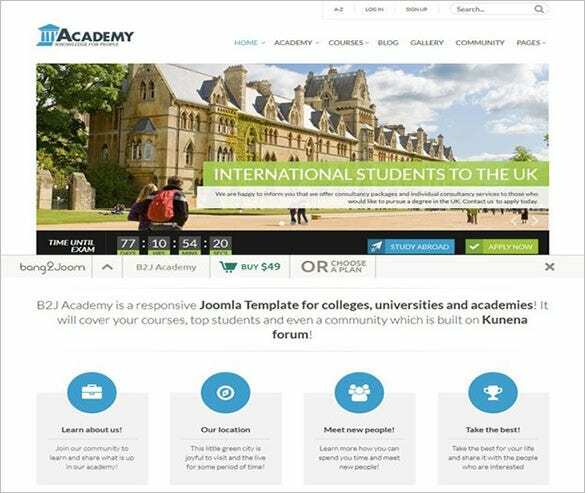 Stunning design with T3 Framework and Cross Browser Compatibility makes B2J Academy a classic Joomla Template for Educational Purpose. It’s lightweight and easy to customise. Additional extensions used with this template are Layer Slider, Social Slider, News Loader, Contact, and Calendar. 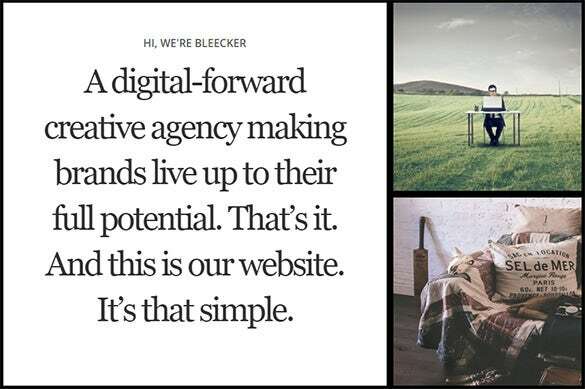 Bleecker is a Responsive Retina Ready Joomla Portfolio Template. 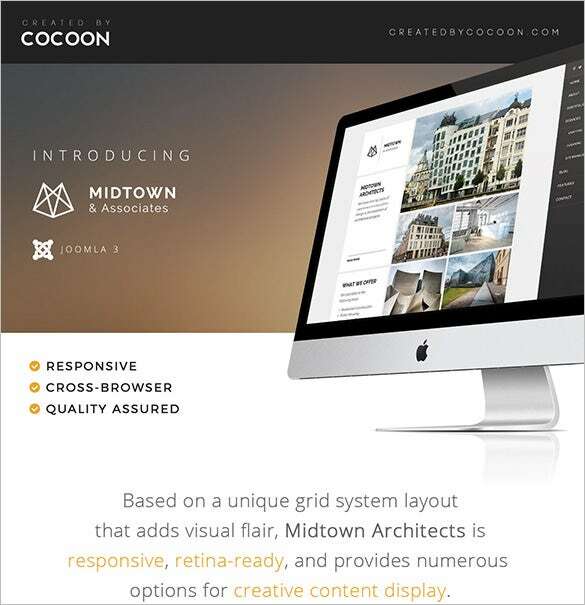 Features include Grid System Layout, Custom Print CSS Stylesheet, Mobile Touch Optimized, Integrated Joomla Administration Interface, Easy Adaptability & Extendibility, and QuickStart Package. 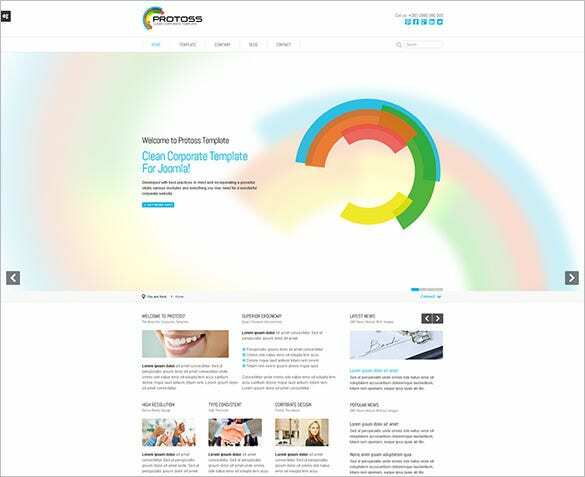 Protoos is a Clean, Retina Ready Corporate Template For Joomla 2.5 and 3.0. Unique appearance and fast loading makes this template a popular choice. Additional features include DNP Slider Module, DNP News Module, Unique Feedback Popup Module, AJAX Search Module, and K2 Content Component Support.